Do you like strolling through street markets? While you are visiting Malaga, you can enjoy a wide range of outdoor markets: Ecological markets, by young designers, beach-side markets or in the port; there are many street markets in Malaga to choose from while enjoying your stay in the city. Until quite recently the flea markets were almost the only alternative in the capital of the Costa del Sol to traditional stores for shopping. But the situation has taken a radical turn. So much that now is rare a weekend without street markets in Malaga, with a wide and diverse offer as there are markets for every taste and in different locations. 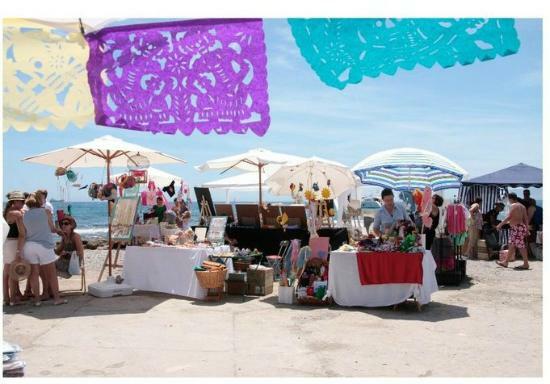 The market of Baños del Carmen (on the sea promenade of El Palo) takes place on the first Sunday of each month. This market is celebrating its third anniversary and was one of the pioneers in Malaga for shopping on Sundays (morning) besides the usual shops. The second Sunday of the month takes place the Zoco de Muelle Uno (Souk in Pier One), offering the charm of strolling along the new Malaga Port facilities and doing some shopping, especially fashion, decoration and food. It also takes place in the morning, but in the summer it shifts to the evening hours. The second Saturday of the month there will be a market different from the previous; the Ecological market in Cervantes Street, next to the Plaza de Toros La Malagueta. 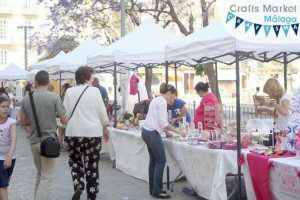 Young designers also have their place in Malaga Crafts Market (Craftsma) in Plaza de la Merced (last Sunday of the month). Another proposal is Plaza Activa, with handmade things, young fashion and music the central Plaza San Pedro Alcantara, though not yet a regular dates. 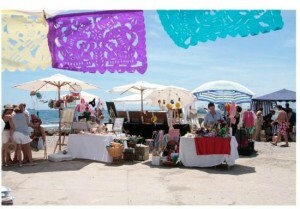 To all these, also joins the crafts market every Sunday morning by the association [Re] Union de Creadores in Pier One. 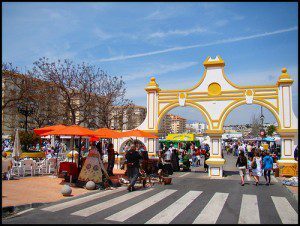 If you would like to visit Street markets in other municipalities, we recommend visiting the largest flea markets in the province of Malaga, taking place in Torremolinos in the fairgrounds and in Fuengirola on Saturdays, as well in the fairgrounds. Both markets have plenty of parking.